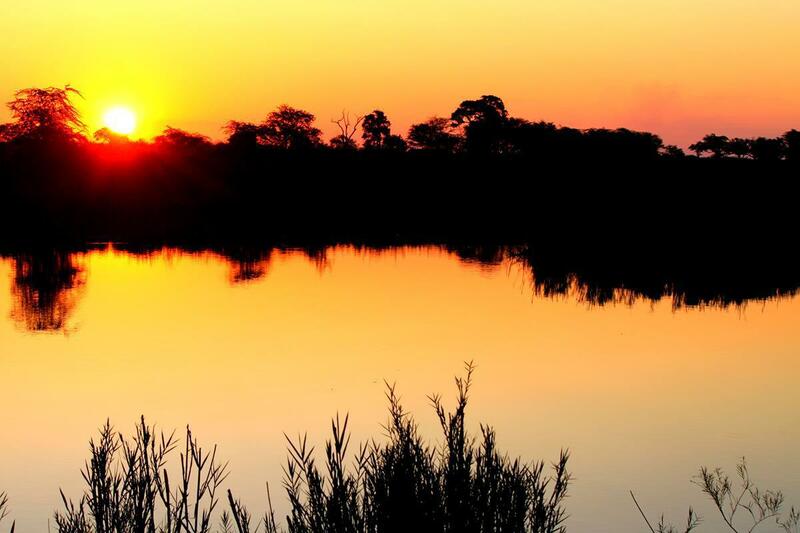 Gonarezhou means ‘place of the elephant’ but this park is forever engraved in my memory by the hundreds of fireflies at Chipinda Pools reflecting their lights over the Runde River, the hippos snorting in the night and a thin slice of yellow moon smiling down on us like a Cheshire cat. But most of all I will remember it as the place where I first encountered wild dog, one species that has thus far eluded me. Encountering wild dog was very special. We didn’t know how to go about exploring the park when we booked for three nights at the main gate reception, although we had been advised to stay at Chipinda Pools or Chinguli camps. These are the only ‘developed’ camps in the park, meaning they have ablution facilities. There are also a number of exclusive, transit, tented and wilderness campsites scattered throughout the park. These offer a beautiful setting, a braai place, a long drop toilet but no water on tap. 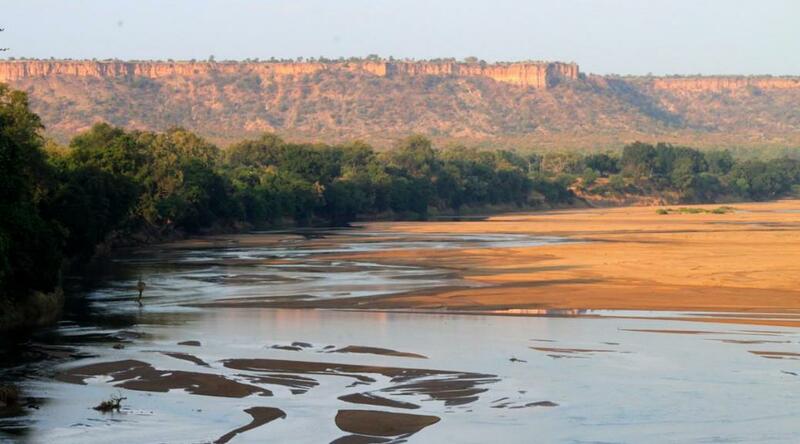 We discovered that Gonarezhou has a lot to offer if you are prepared to rough it a bit and are self-contained. Having arrived late after shopping in Chiredzi (where we finally found VISA and MasterCard ATMs and could withdraw money) we opted to spend the first night at Chipinda Pools which is close to the entrance gate. The bush nightlife there was amazing; hippo’s snorting in stereo sound, hyena scavenging around camp, impala rams making their fearsome rutting sound and elephant feasting on nearby trees. As at Mana Pools I couldn’t sleep because I suffered from FOMO (fear of missing out). We were amused by one large hyena which came to our fireplace and when we shone the light from the tent, it dashed off only to run into a low branch, wheel around in confusion, change course and bolt into the night. Enjoying the night life at Chipinda Pools. The next morning we headed for Chinguli camp, crossing the Runde River and heading south on the secondary road. 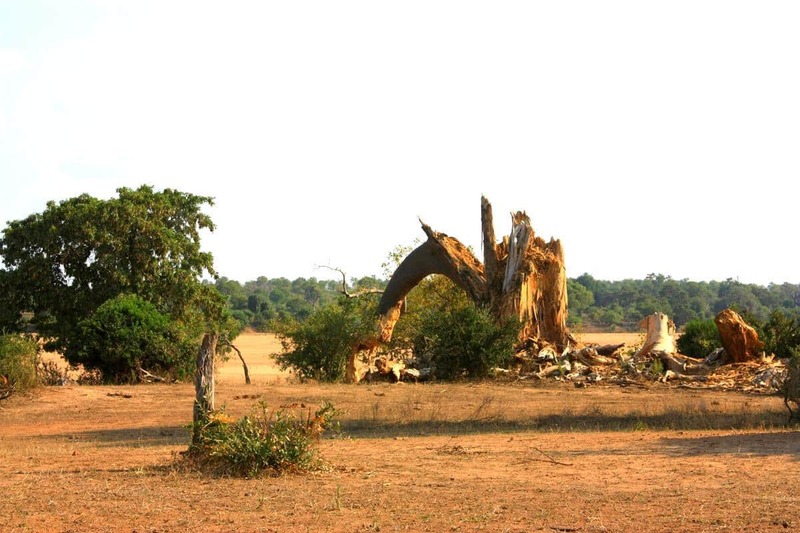 The scrub Mopani vegetation was uninspiring and the devastation caused by the elephants was clearly visible. Surprisingly we didn’t see any but we have learned that these giants can disappear into the bush within seconds and still be only a few metres away. Even boababs are destroyed by elephant. Arriving at Chinguli camp at midday we were disappointed to find no shade other than thatched shelters and no water in camp. 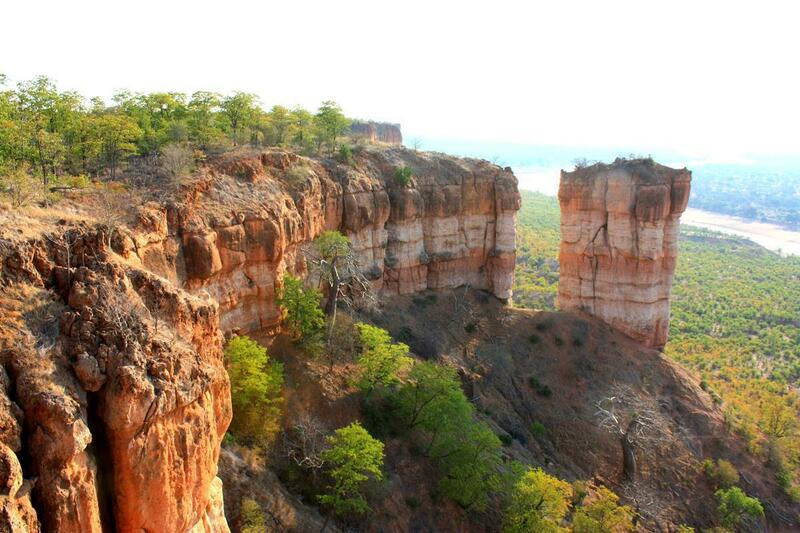 After lunching there we headed east for the Chilojo Cliffs for which Gonarezhou is renowned. We drove east up the sandy track onto higher ground which took us to the western viewpoint, the better of the two, offering a stunning panorama. The cliffs are situated along an ‘S’ bend in the river and appear to be composed of yellow to ochre coloured sandstone. 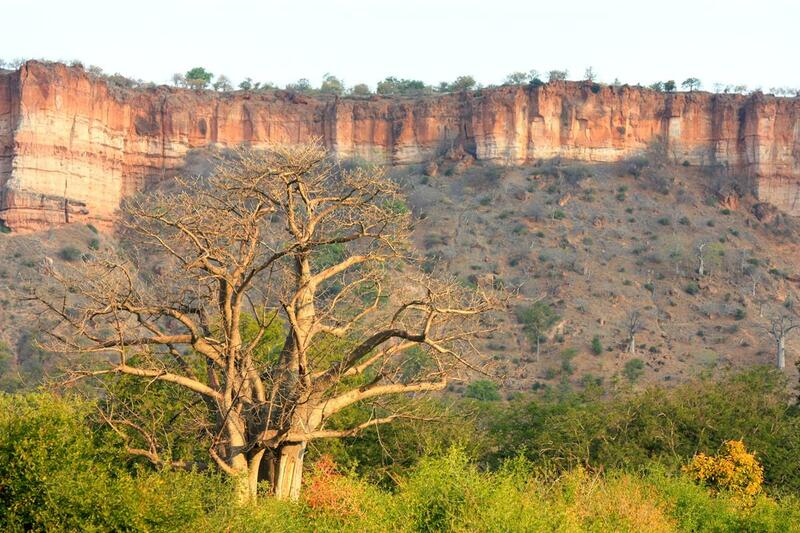 They rise vertically from sloping ground that leads north to the Runde River and even the baobabs were miniaturised by our height. 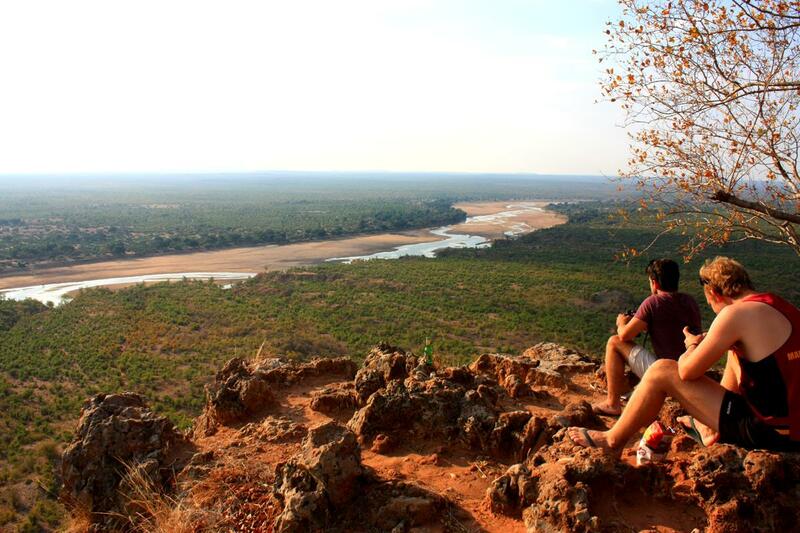 Overlooking the Runde River from Chilojo Cliffs. The river with its wide sandy bed and slowly flowing stream curves away in a north westerly and north easterly direction until it faded into the haze of the afternoon light. Most impressive of all, however, are the sheer vertical walls, one buttress of which has been severed by erosion and stands alone with a high, narrow gap between it and its parent. By now it was late and we drove east hoping to arrive at Bopomela before dark. This is one of the exclusive camps featuring the usual large shade tree, a long drop and fireplace. A steep elephant trail with fresh tracks led to the river a few metres away down a dusty path, and with the sun setting and mindful of crocodiles, Pete kept a beady eye open as he filled the small jerry can, to be heated for washing water. 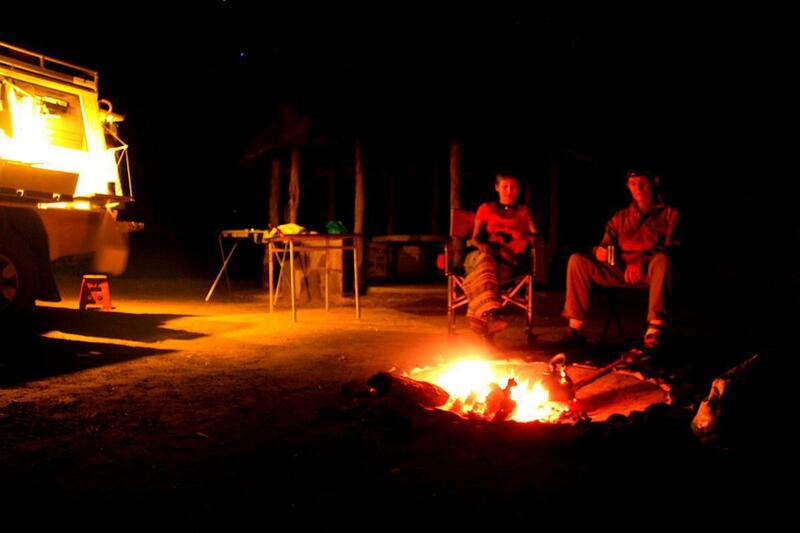 Strangely the night was completely quiet with few sounds of the bush, until a hyena called in the early hours. Despite this, still moist elephant droppings a few metres away indicated that we had indeed had visitors during the night. Next morning we headed for the confluence of the Save and Runde Rivers, crossing the latter at the Chamuluvati causeway which is about one kilometre wide. A couple of stick markers and the track of the previous vehicle on the sand where it entered and exited the water were the only indicators that it was safe to cross. After unsuccessfully heading east towards the junction of the rivers the road became so overgrown that we had to stop short and retrace our steps through the extensive palm and winter-thorn forests which make this an exceptional environment. 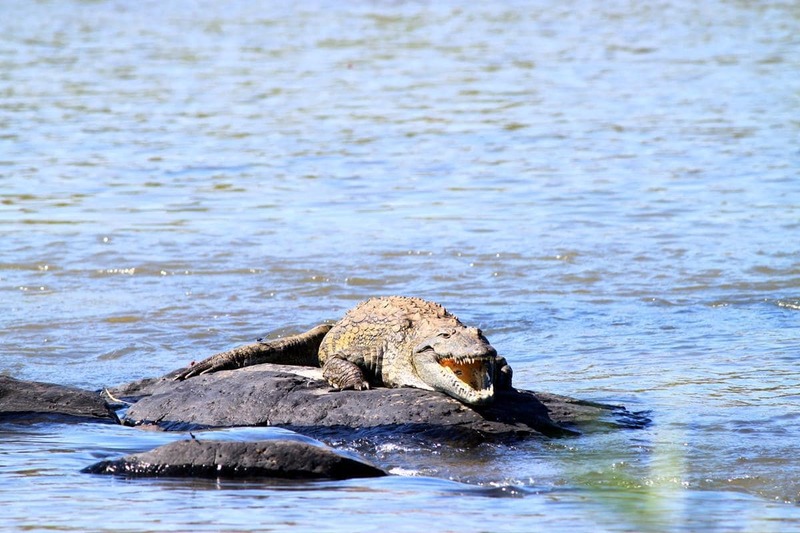 Heading back towards Chipinda Pools we passed Tembwahata pan which abounded with hippos and crocodiles and we nearly mistook a leguwane emerging from the water for a small croc. On this section along the river, driving back to Chipinda Pools, we encountered most game. The park has a fair number of Nyala and a rare sighting was a flock of vultures which included both the Whitebacked and Lappetfaced. 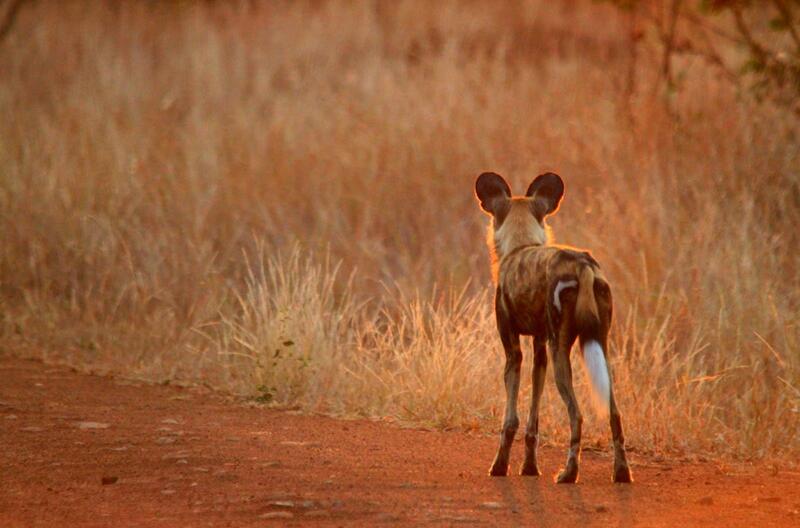 Most special, however, were four wild dog which walked down the road close to Chipinda Pools. They were’nt at all fussed by the humans and we watched them for about ten minutes before they disappeared into the bush. They seemed very playful and relaxed. 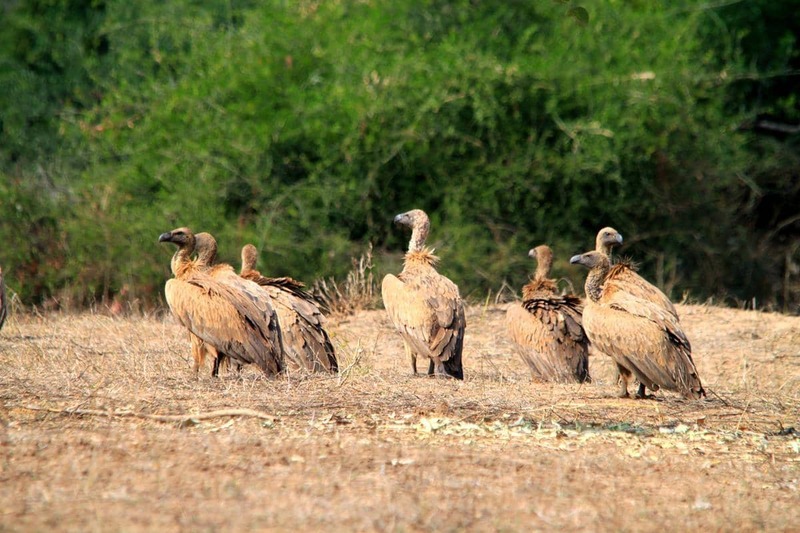 A flock of Whitebacked vultures. Our brief experience in Gonarezhou indicated there was more prolific game life on the roads near the river, which also provided more interesting driving, vegetation and scenery. An all weather road runs from Chipinda Pools to Chilojo camp, opposite the Chilojo Cliffs; a secondary road runs south of the Runde river to Chilojo Cliffs but if you want to explore east towards the Save-Runde Junction, you need a 4WD for the seasonal roads, and give yourself plenty of time as they are rough. As the Hilux was due for an oil change we had managed to prebook a minor service in Chiredzi and were up early, getting there by 9am, despite stopping for a 2.5m python crossing the road. The service was done whilst we shoppped and then we headed north-west, discussing options for the next leg of our journey. Hi guys, Still having a good time is see. I was also brought up in Rhodesia and your reference to Chiredzi reminded me of a trip I went on with the Exploration Society of Milton School searching for a a lost city in about 1958. in that region. Needless to say we didn’t find one!! Keep up the great pictures and text. Regards. Beautiful, your blog is fantastic. Really envious of your experience. Hi guys, I love your report and pictures. It brings so much joy in my non-adventures German l life. You guys are certainly enjoying yourselves . I read every posting with envy . How’s the Toyota ? Roger.